Nylite nylon flags manufactured from 70 Denier High Tenacity Nylon meeting the Federal Government Speifications for flags. 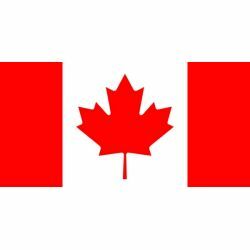 All our flags are made in Canada. Size: 27"x54"